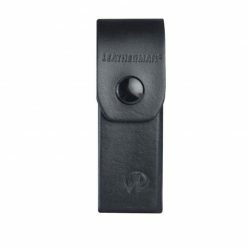 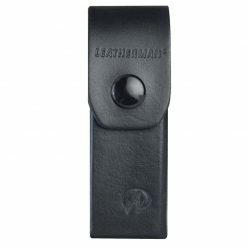 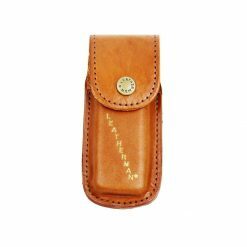 Classic standard leather sheath bears the Latherman name and logo; snap closure. 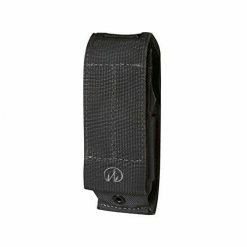 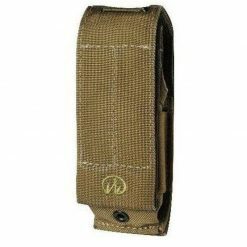 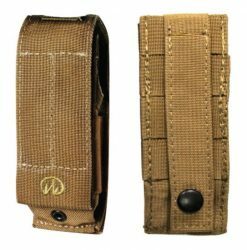 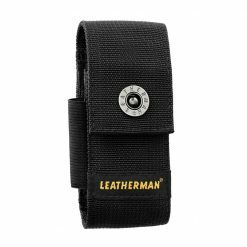 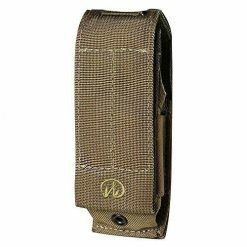 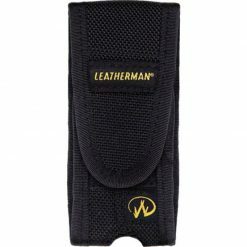 The Leatherman Large Molle Sheath (Brown) features snap webbing strap for attachment on backside. 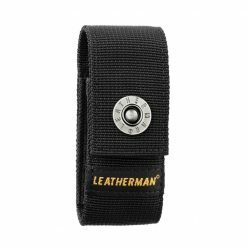 It has grey Leatherman logo and Velcro front closure. 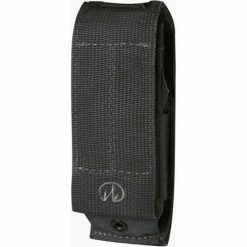 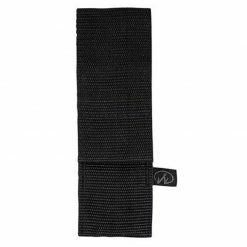 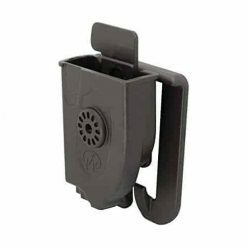 Internal Capacity: 4" x 1.4" x .7"
Features snap webbing strap for attachment on backside. 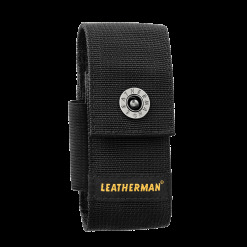 It has gray Leatherman logo and Velcro front closure.